Deloitte is a leading provider of world-class professional services dedicated to providing value added solutions to our clients. We take pride in our reputation for providing a globally consistent quality service, an integrated approach and world-class expertise. Deloitte is renowned for its innovative and collaborative culture, where talented people work closely with like-minded individuals to achieve collective success. Deloitte East Africa provides seamless cross-border services to multinationals, large national enterprises, small and medium sized enterprises and the public sector, across four (4) countries of the region: Tanzania, Uganda, Kenya and Rwanda. 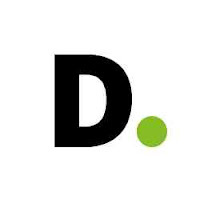 Deloitte East Africa has a well versed strategy and operations team uniquely positioned to support the strategic agenda of our clients in the key domains of growth, business improvement & optimization, and strategic transformation. The wide spectrum of capabilities, thought leadership and experience are underpinned by the Deloitte platform of executable strategy and innovation for growth. Our unique strategic planning approach and capability allows executive teams to understand the future and create growth and aspirational viewpoints about the possibility in their markets and organizations. The USAID Boresha Afya is a five year (1 October 2016 – 30 September 2021) program supported by the American People through United States Agency for International Development (USAID). The program is implemented by Deloitte Consulting Limited in 43 councils of Iringa, Njombe, Morogoro, Lindi, Mtwara and Ruvuma regions with its technical partners; Family Health International (FHI360), EngenderHealth and Management and Development for Health (MDH). The purpose of USAID Boresha Afya is to increase access to high quality, comprehensive, and integrated health services, in communities we serve especially women and youth. USAID Boresha Afya is set to create a dynamic, integrated platform for delivery of health services that emphasizes intensified coordination and collaboration between the government, health facilities and communities, towards achieving HIV epidemic control while integrating Family Planning (FP), Tuberculosis (TB), Maternal and Neo Natal Child Health (MNCH), Malaria care and Nutrition through innovative integration approaches at all levels and opportunities. The Monitoring and Evaluation Manager is responsible for monitoring activities of the program in Njombe and Ruvuma regions and oversee the Projects statistical analysis. This position reports directly to the Director of Strategic Information. • Performing any other related duties as assigned from time to time. • Advanced computer skills i.e Advanced Excel, MS Word, Power point, etc. • Knowledge of USAID rules and regulations. At Deloitte we believe in the importance of leadership at all levels. We expect our people to embrace and live our purpose by challenging themselves to identify issues that are most important for our clients, our people and for society and make an impact that matters. At Deloitte, our professional development plan focuses on helping people at every level of their career to identify and use their strengths to do their best work every day. From entry-level employees to senior leaders, we believe there’s always room to learn. We offer opportunities to build world-class skills in addition to hands-on experience in the global, fast changing business world. From on-the-job learning experiences to formal development programs, our professionals have a variety of opportunities to continue grow throughout their career. Deloitte is led by purpose: to make an impact that matters. Every day, Deloitte people are making a real impact in the places they live and work. We pride ourselves on doing not only what is good for clients, but also what is good for our people and the communities in which we live and work-always striving to be an organization that is held up as a role model of quality, integrity and positive change. Learn more about Deloitte’s impact on the world. https://www2.deloitte.com/global/en/pages/about-deloitte/articles/impact-that-matters.html. To the successful candidate the firm will offer a competitive and performance driven remuneration package, a highly energized team environment comprising individuals who are committed to working together to make an impact that matters.